Imagine a Yacht that can fly. Here it is. Skyacht™ One soars with it's hand painted "trompe l'oeil" mahogany "hull" and towering vertical stabilizer. Close up, each "plank" accents the polished metals in a riot of underbelly detail. Wildly subtle statement on the tarmac or any port of entry. Classic joinery meets pearl white elegance. Perhaps we're getting ahead of ourselves, let's take a moment to watch a brief video relating the story of the inspiration, design process, and historical references that make Skyacht One so special, as told by it's designer Eddie Sotto. "Skyacht One is not limited to those who appreciate all things nautical, it's about attention to detail. True disruption combines familiar elements in new and exciting ways, and we hope you see our design process as an enabler to your own aspirations. We want you to see Skyacht as potential, an example of our capabilities toward your preferences." Embraer's Flagship Lineage 1000E is the preferred aircraft of Skyacht™ One. With "fly by wire" technology and the perfect balance between size and range, the Lineage can land where others can't. Embraer Executive Jets tells the story of the 1000E and all of it's incredible specs far better than we can. Learn more about this benchmark "State of the Art" Aircraft. However, if you are refitting your own plane or have another aircraft in mind, no problem. Contact SottoStudios, we'd be happy to discuss with you how we can adapt the Skyacht design at the proper scale in your vessel of choice. Skyacht One was further inspired by the vision of one George Whittell Jr. of Lake Tahoe, California. Back in 1939 Whittell was in love with his Douglas DC2 Aircraft. 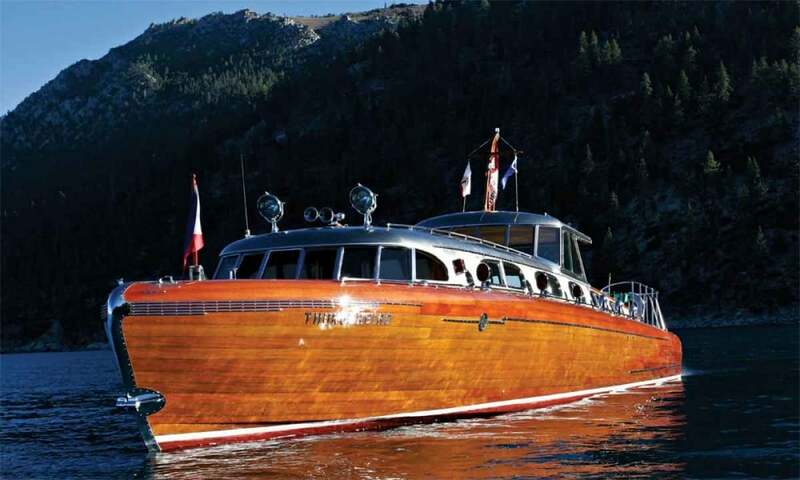 The gleaming fuselage and streamlined shapes drove him to commission the Thunderbird, a fantastic Hackercraft motor yacht to match his airplane. This confirmed designer Edward Sotto's earlier notion of a flying yacht. Whittell had beaten him to it, only in the opposite direction, not to mention that the result proved how complimentary to the two styles were to each other. All the classic elements were there too, the exposed technology and fitted planks. You'll notice some of those classic yacht details in the "hull" of Skyacht One. We encourage you to experience the Thunderbird in person at the Thunderbird Lodge , Whittell's home in Lake Tahoe. Unforgettable. Images ©Zinzerphoto & courtesy ©Thunderbird Lodge. Then is the new now. Why does the future have to be bland? Skyacht One breaks the beige barrier. Technology from the future masterfully wrapped in the handmade luxury of the past, one mahogany plank at a time. They DO make them like that anymore. 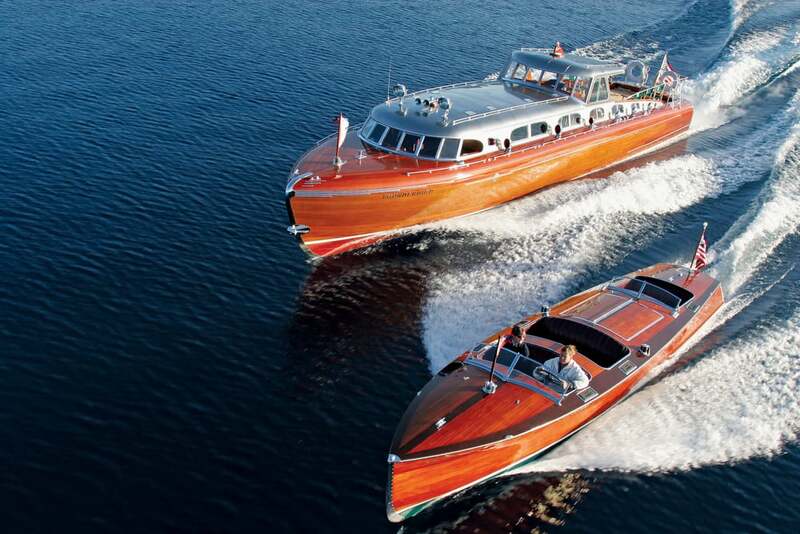 The faux "planked" joinery "hull" turns heads with a towering "mahogany" stabilizer and polished rudder. Navigation is the theme of Skyacht One as following the stars led both ships and planes. The story is told in the astrolabes, armillary spheres, charts and many fine details that are embedded throughout. From the handmade brass and marquetry clock inspired by the 15th Century Ducal Palace Studiolo, to Piero Fornasetti's vintage "Astrolabio" China. Authentic legacy with roots to our past. Our story permeates every detail in the cabin. The first impression is no exception. A planetary clock lies embedded in a marquetry mural inspired by the 15th Century Ducal Palace's Studiolo of Italy. The rug is Fornasetti, and the Galley is appointed to evoke the portable luxury of the British Campaign style. Custom hardware sets off the personalized embossed leather. On closer inspection, the bulkhead walls are planked and pegged as on a Yacht. The closer you look, the better it gets. Since you spend so much time in your seat, the "close up" experience should be unsurpassed. We revisited things you touch and made them intuitive, beautiful and classically textural with analog controls of engraved brass, gold, silver and platinum. When you reach out in the dark to turn a light on, there is still nothing better than the feeling of a fine knob or lever. They just work. 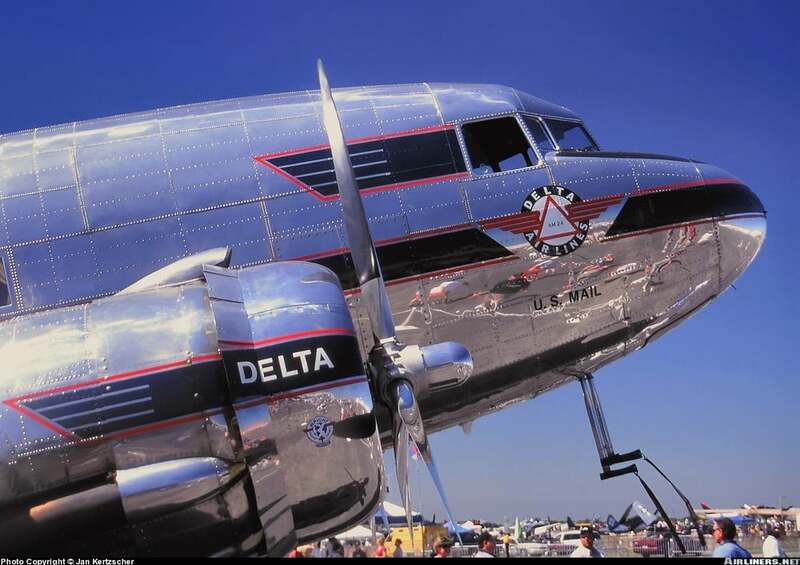 From the brass inlaid window bezels, each with mahogany surround and panelling, to the adjustable vintage styled leather sunshades, the skies never looked better. The main cabin is expansive with a Chesterfield Sofa and media center for watching television or surfing the net. Seating is lavish, flanked by inlaid paneling and window "portholes" lined in brass, nickel and mahogany. Shagreen "Stingray" skin lines the valances and tabletops, while Skyacht's ribbed structure of inlaid brass and wood span the cabin with adjustable lighting. Embraer's nautically inspired SkyPorts run the length of the ship. Meanwhile, the Intelligent cabin lighting samples the view and changes color to compliment the time of day. Adjustable and focusable track lighting runs along the ships mahogany beam structure, so you can have a light anywhere you want to be. The Captain's Quarters is intimate, fiercely romantic and lined in padded suede, underscored by book matched Macassar walls and paneled ceiling. Authentic detail abounds. 14th Century maps are the inspiration for the plush Cellarius Carpeting, while Skyacht's signature Armillary Sphere is softly inlaid on the secret sliding door. Reading lights adjust up and down the ship's trusses, while a flat screen monitor faces opposite. A ring of SkyPorts line the ceiling. Attached is the matching bath and shower. The story of Skyacht One™ is elegantly told through its details. Even a Faucet is not left to chance. Inspired by the dual throttles of a classic powerboat, the lapis and coral controls are obvious. A matching inlaid temperature gauge can be set to a given degree, and the gold indicator takes you there across the Compass Rose. Intuition from the past. Then is the new now. Skyacht One's Master Bath features a bejeweled "throttle" inspired faucet with a lit gauge that controls temperature over a walnut and brass sink. Edge lit bronze mirror softly bathes the space while adjustable spotlighting tasks the working areas in addition to a brass framed window. The walls are lined with matte finished teak and mahogany, held tightly by brass fittings. Contrasting the woodgrain, green Malachite countertops and Shower lend a deep elegance. Vintage Fornasetti Accessories accent our own platinum Skyacht hardware. Skyacht One could not have looked this beautiful without the talents of those 3D masters at Lightbox CGI. Many thanks! For those of you who didn't arrive by linked article, here are some highlights of what Paris Match, the BBC, and the luxury press have been saying about Skyacht One. Town and Country muses "Why would you opt for a run-of-the-mill G6 when you can fly around the world in a jet called the Skyacht One?" Luxexpose calls it "the aeronautical masterpiece" while others like Spears call it "the world's most luxurious jet." After describing the main cabin as "mind boggling", Luxpresso remarks "Last year, we were lusting over Bombardier’s Global 7000 jet for its swanky interiors and luxurious settings; and this year, ..Skyacht™ One–the ultimate airliner for a billionaire’s airport apron." JustLuxe says "Air Force One has nothing on Skyacht One." Buro247 calls Skyacht One a "veritable work of art" then speculates with a smirk, "We recon Prince Alwaleed would happily trade his luxurious ride (Airbus A380) for Skyacht One, one of the most luxurious aircrafts slated to take the skies." Motley Fool's takeaway is "The new Lineage 1000E is an attractive proposition for billionaires looking for a state-of the-art luxury jet". To us, the highest praise comes from Newsledge "Skyacht One takes private jets to new heights". As always, you be the judge. No matter what your style or taste, the Skyacht One arguably makes one thing clear. The world of customer driven bespoke business jets is here and luxury can break the "beige barrier." To that end, Sottostudios can adapt the Skyacht style to your refit or custom aircraft, we exist to interpret your dream or brand into an experience be it on land, air, or sea. Learn more about what Sotto has done with Disney, Ferrari and Aston Martin. *"Every Sotto project is the result of the collaboration of many, so although you see or hear from me, there are many talented "soloists" that comprise our "symphony." Every hand that performs has to add value to the piece or they are not in our performance. As a "conductor", you have to see and hear the entire score, then, at once, hear just the piccolo player. Everything matters. It's macro and micro, and of course, you have to select the best content to play and the most accomplished musicians to perform it. Experiences are symphonies as well, with each sense tuned to an emotive result. Edward Sotto is a Renaissance creative professional and entrepreneur with a proven track record in entertainment design that spans 30 years. Sotto's strength lies both in ideation and team based execution, skills he honed as Senior Vice President of Concept Design at Disney's Imagineering division. His portfolio at Disney alone contains $500m in built projects ranging from "E-Ticket" Attractions and retail, restaurants, web and mobile technology, including digital architecture like ABC Times Square Studios. Born in Hollywood, Sotto's cinematic style is largely self taught by having motion picture Production Designers and Disney's original artists as his mentors. Theatrical design runs in the family as well, with his grandfather being a scenic and portrait artist at MGM and his Aunt Marilyn Sotto, a Costume Illustrator/Designer at Paramount and Universal, eventually landing with Eddie at Disney to design costumes there. Sotto's obsession with creative continuity and detail, be it emotional or architectural make each project unique. Check out our custom designed Rolls Royce Regatta, your means of extending the Skyacht experience.